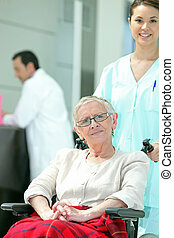 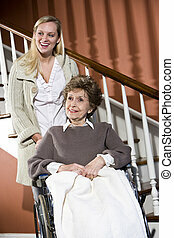 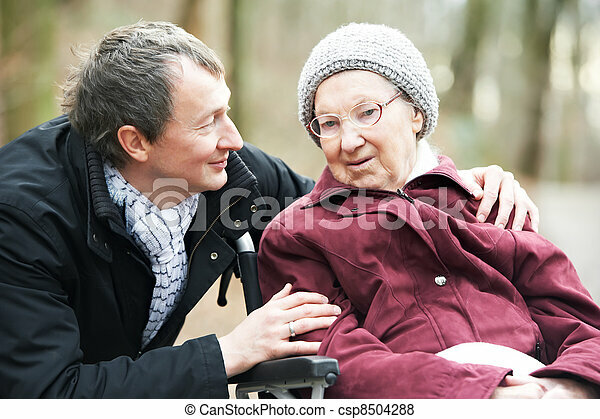 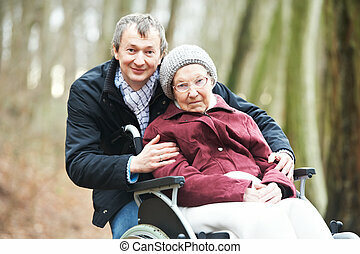 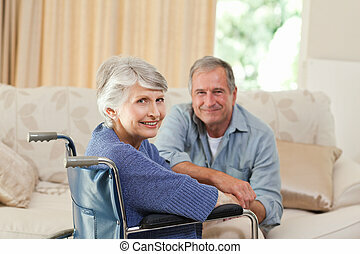 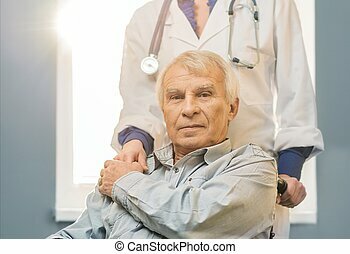 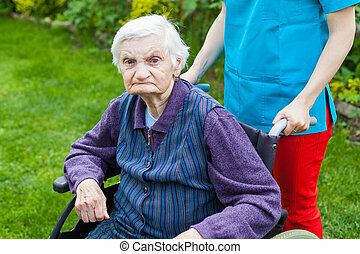 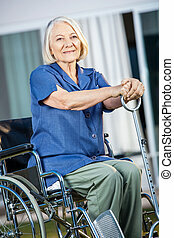 Old senior woman in wheelchair with careful son. 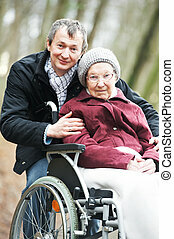 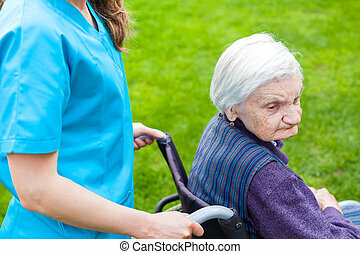 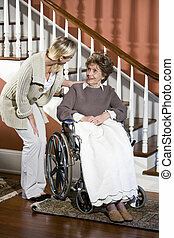 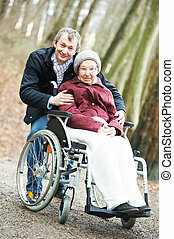 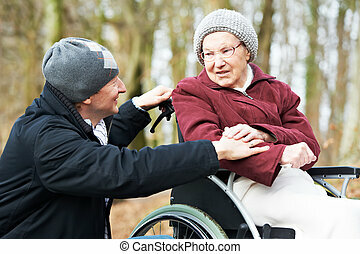 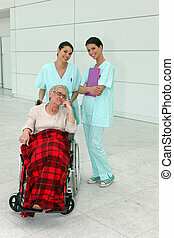 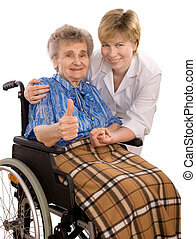 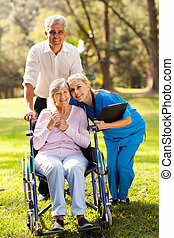 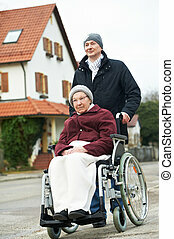 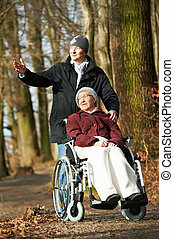 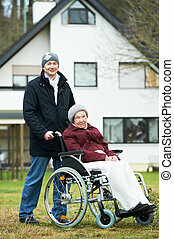 Caregiver careful man walking and embracing disabled senior woman grandmother at wheelchair in nature. 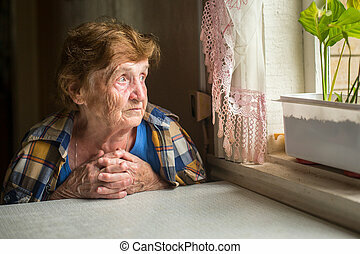 Old lonely woman sitting near the window in his house. 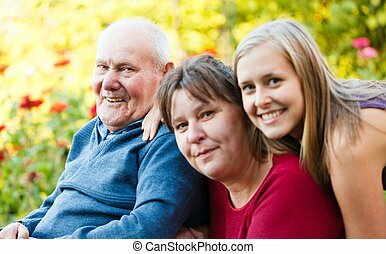 Family visiting grandfather with Alzheimer's disease at the nursing home.